for roofing or remodeling services. Once we process your request we will contact you to confirm an appointment. Why worry about roofing? In far too many cases, a roof doesn’t get any attention until water begins leaking into the building. This is especially true with roofs of commercial buildings, where flat roofs and parapet walls truly put roofing issues out of sight and (thus) out of mind. If you are looking for your project to be done right, call a reliable and affordable commercial roofing contractor in Expert Roofing General Contractors. We offer commercial roofing services to businesses in the Indianapolis, IN area and surrounding suburbs. Every community has plenty of roofing contractors. We want to earn your commercial roofing business the old-fashioned way – by exceeding your expectations for responsive, top-quality service. Courteous professional service – At Expert Roofing General Contractors, we recognize that your commercial property is a valued asset that plays a major role in the success of your business. 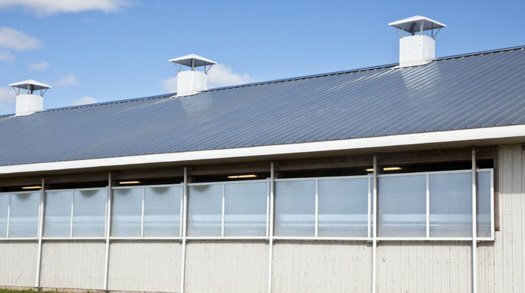 Our pledge is to always respond quickly to your commercial roofing needs and to deliver the best value and highest quality, every time. Well-trained workers – Our crew is conscientious, dedicated and well trained to deliver top-quality work. Whether you need repairs on an old-fashioned built-up roof, a new single-ply roof, polyurethane foam roofing or anything in between, we have the know-how to serve your needs. Excellent equipment – We are constantly updating our tools, trucks and other equipment to ensure that every crew can work safely, efficiently and to top industry standards. Access to the best roofing materials – We deal with major building material manufacturers to make sure we have access to the best roofing products at a competitive cost.